Scrap Paper Scissors etc. : Good Day Sunshine! Aside from the irony of my title as there isn't a glimpse of sunshine to be found out there today (! ), I've created my own little piece of sunshine inside as I have a day off......yay!!!! Time to finally get that Christmas tree finished as the decorations have been lying around half hung since Friday. First though more important things.......blogging! I was checking through a bunch of completed scrapbook pages lying on my desk, as I had a feeling I'd probably missed posting one or two here and there. Sure enough I found one from way back in the Summertime. I'm not sure why I didn't get around to blogging this one because it happened to be one of my faves at the time. 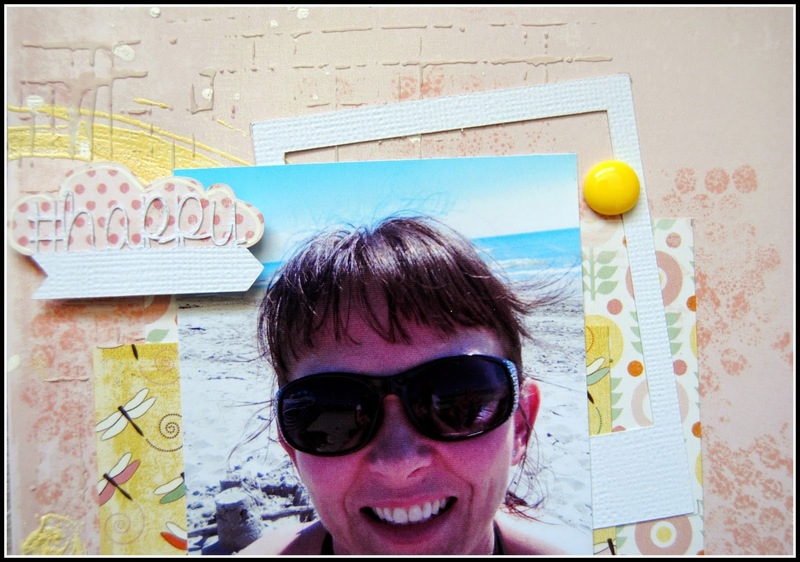 Papers were from one of my Two Scrapbook Friends DT kits using the 'Truly Scrumptious' collection by The Paper Loft. This page happens to be the second page I created as the first was posted way back here. This page is another example of my present love for embossing powders as there are random doodled circles in the background. 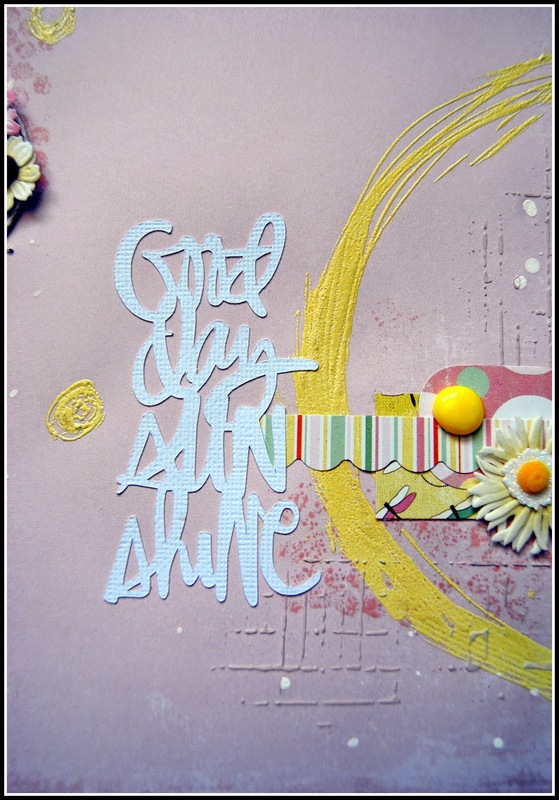 The title was cut using a freebie file for the Silhouette from Kerri Bradford, and there's a bunch of stamping, paint splatters and stenciled molding paste in the background too. And a nice little cluster of embellies to tie in with those on the opposite side of the page.......I was a good girl for using up my flower stash! I think that's about all so I hope you find your own little piece of sunshine today. Cute cute cute!!! Just like you ;) Love it Jayne! 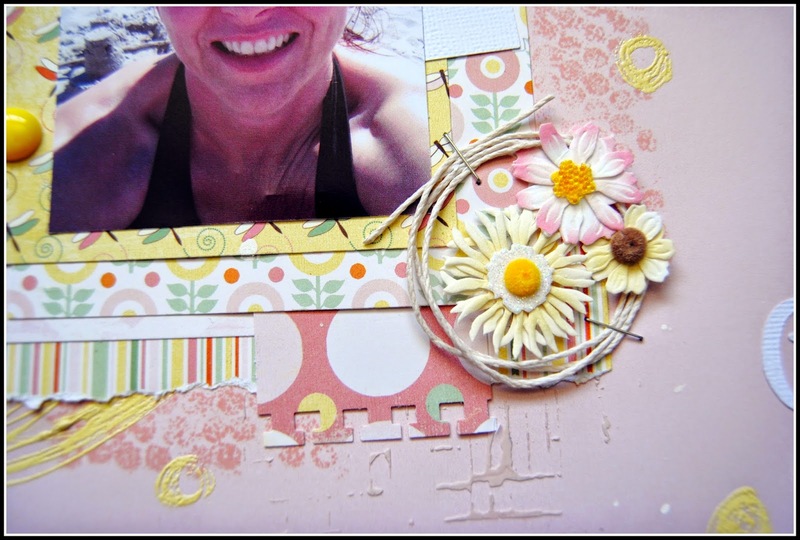 What a fabulous summery layout!! Beautiful layout! Can feel warmth from your layout! Sure feels really COLD outside TODAY!!! !